We are the pioneer of sustainable distilling. Our motto “Drink Sustainably” is the core of our business. We recapture 100% of our process water & reuse energy harvested from the distillation process to heat our facility. Through this process we save more than 4 million gallons of water annually and capture for reuse enough energy to heat 20 homes. All grains are sourced locally and all stillage from our distillery is sent to local Carbondale ranchers. Marble Distilling Co. – Saving the planet one bottle of vodka at a time! Marble Distilling Co. has invested in the future of our planet by designing and building the first of its kind Water Energy Thermal System (WETS) to capture and reuse the water and heat generated in the distilling process. A typical distillery requires millions of gallons of water to cool processes and convert hot vapor off the still into liquid (spirits), with the hot water then discharged into the sewer. The WETS captures hot water from processes/stills and stores it for reuse. Utilizing multiple pumps and exchangers, the energy is reused to heat processes, domestic hot water and to provide heat to our building, which then leaves us with cold water. This water is reused for the condensing process, cooling mash and providing cool air to the building, eliminating the need for a typical energy inefficient air conditioning system. The heat/cold cycle is everlasting with no need to ever discharge water to the sewer. 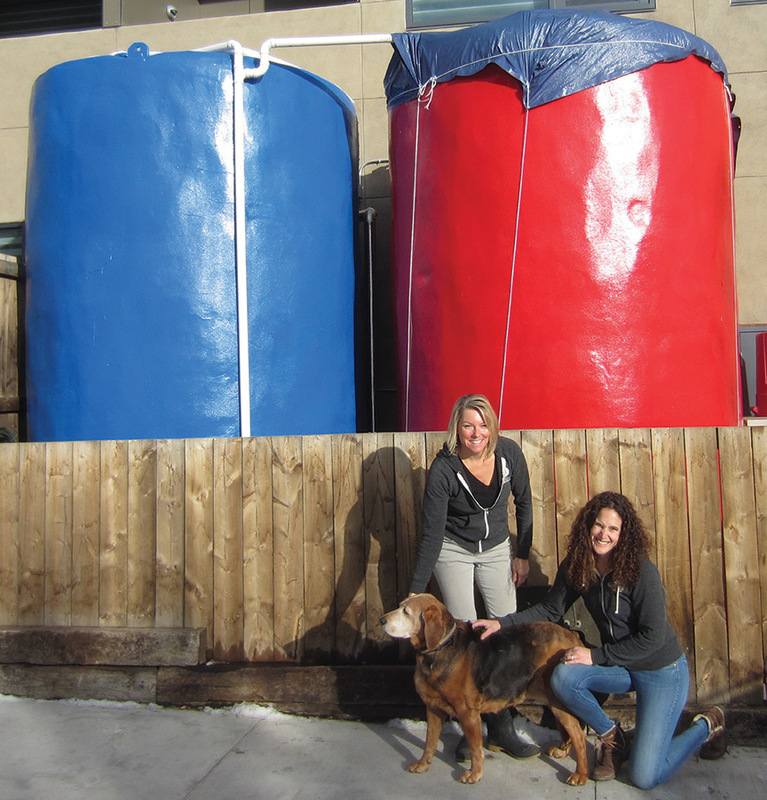 This innovative system used at Marble Distilling Co. saves the planet more than 4 million gallons of water annually and captures 1.8 Billion BTUs of energy – enough to power 20 homes. Imagine if all distilleries, breweries and vineyards employed this cutting edge technology? We pride ourselves on utilizing distilling equipment Made in America. 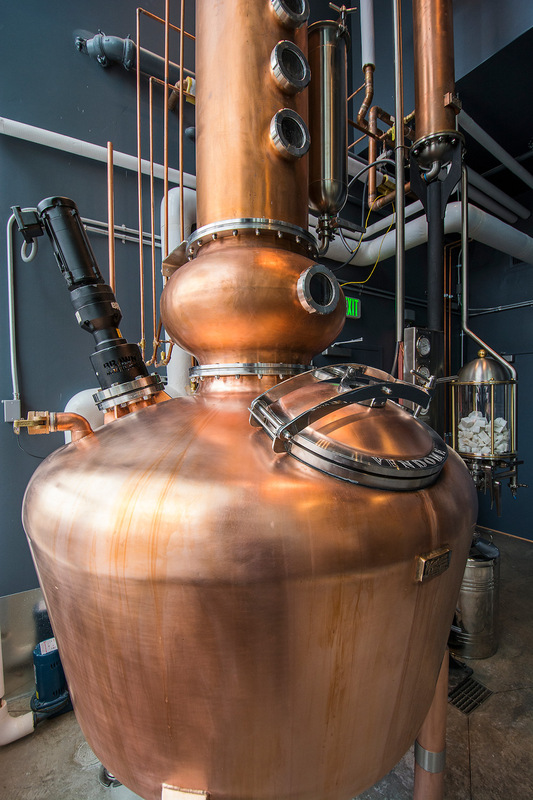 Affectionately named “Hazel”, our 250 gallon Vendome Copper Pot Still works hard every day to finish our vodka, whiskies and liqueurs. Vendome Copper and Breastworks has been making Stills in Louisville, KY for over a century. Our stripping still is a 500 gallon working gal made by Paul Caldwell of Alabama. Paul is a master woodworker who also hand-crafted our open cypress fermentation tanks – an old world approach to whiskey fermentation. Our mash tun and distillery tanks are also Colorado natives, fabricated by Bennett Forgeworks in Ridgeway.